Once in a while, a product comes along that makes life so much easier. Sometimes it is the simplest of creations, but it changes the way things are done. Think of Post-It notes. A simple thing that changed the world. My latest thrilling product is triangular-shaped crayons! I know, I know, crayons, markers and pencils that shape have been around for a while, but not very accessible. 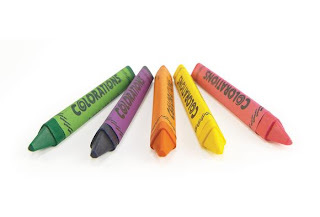 I'm so excited that Colorations came up with a classroom pack of these beauties. Just think, no more crayons rolling on the floor. These wonders stay where they are placed. I am packaging little bags of the crayons to take with me to restaurants when I take my grandkids. I have already had servers ask me where to get them. They really are the answer for child-friendly food establishments. It will be so nice not to be crawling under the booth to retrieve a crayon which rolled away from your child. That will make the eating experience much more positive. I also love these for the classroom. I'm sure the number of crayons I picked up from the floor number in the millions. I like the idea of having crayons take up residency on the table and stay there. :-) I guess it doesn't take much to make me happy. 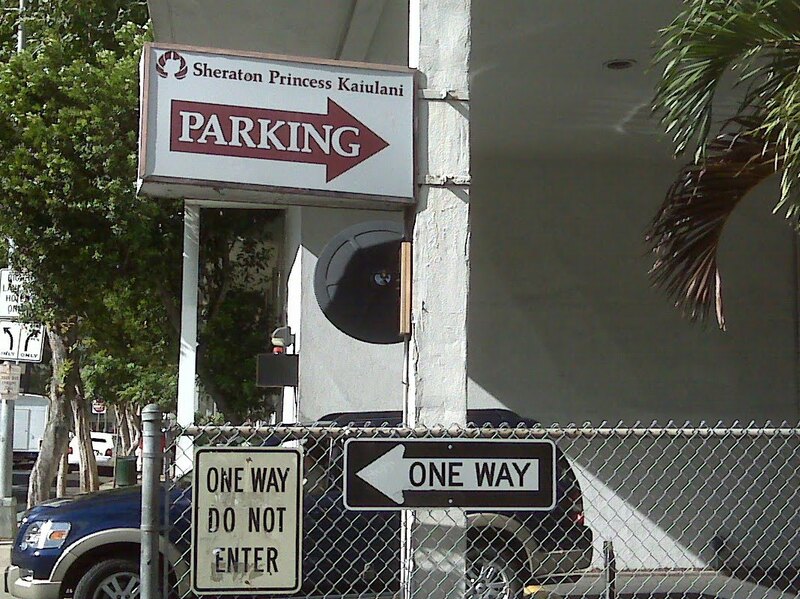 A couple of years ago I ran into these two signs in Hawaii. 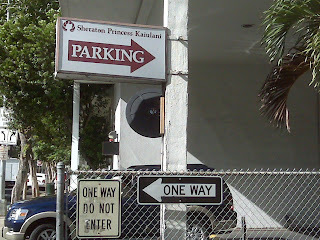 One arrow says, "Parking Lot this Way" and the second arrow pointing in the opposite direction says, "One Way." Sometimes life gives us mixed messages so that we are not sure which road to take. As I have the opportunity to be in many classrooms each year, I often see and hear mixed messages given to the children in our classes. However, I think the mixed message that disturbs me the most is something that I observe on a regular basis. I hear teachers say, "Now, follow my directions and do exactly as I say so that you can get the right answer." Then I hear the same teacher say during a different activity, "Use your imagination, be creative. This is your project." Hmmmm.... It is no surprise to me that we are unable to get children to be creative and to develop thinking skills. The school system is so busy trying to get the children to conform to school requirements that there is little time and effort given to teach independent thinking skills. To me, this part of education is a conflict and a mixed message. Being creative and developing thinking skills is like following the parking lot sign which is heading in the opposite direction from the world of education which continually says, "one way."